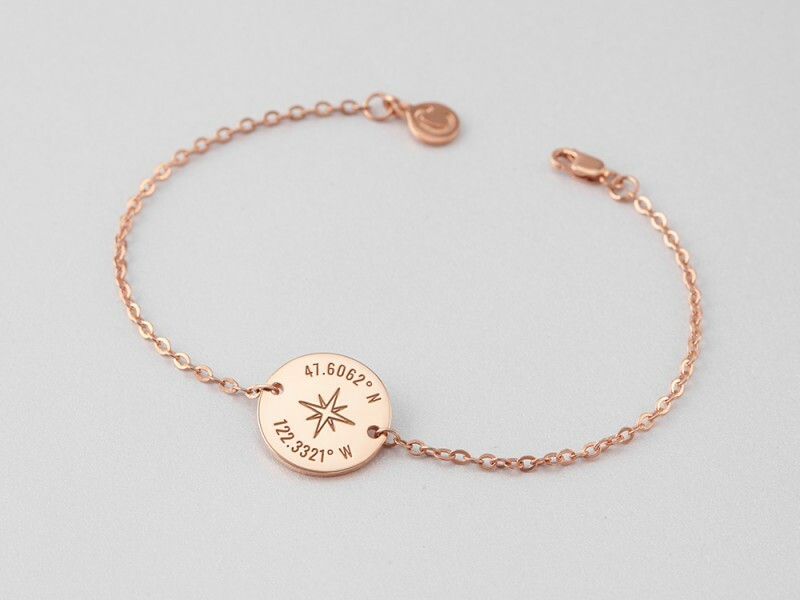 This dainty GPS coordinates bracelet is one dainty bracelet engraved with longitude and latitude coordinates of your choice and a modern sleek compass. The delicate coordinates charm is hung from a sweet dainty charm, making this a perfect graduation gift for your best friend, sister or daughter. - Option to add a short message (2-3 words) engraved on the back. Materials The bracelet is 100% sterling silver and is also available with 18K yellow or rose gold plate.